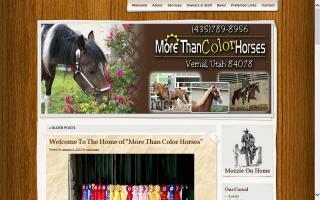 Racking Horse Farms and Stallions Directory - O Horse! C 'Em Walkin Ranch is a mid-size Tennessee Walker breeding farm, located just north of Cincinnati, Ohio. 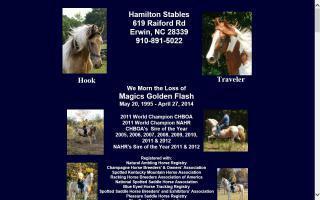 We specialize in raising homozygous tobiano, sabino, solid, roan, and champagne offspring. We take pride in raising our colorful colts. Our breeding operation and reputation is based on producing excellent conformation, natural gait, and good disposition! We really strive to keep quality in this excellent breed. Color is a pretty feature, but we believe it's more important to have the right conformation and a good natural gait. Our colts are a pleasure to be around and are worked with and handled daily. They are started right with 100% trust in people. Check out our great reference page! Webcams available 24 hours. Naturally gaited, keg shod, Racking Horse farm located in northwest Alabama. We raise, breed, and sell Spotted Saddle, Tennessee Walking, and Racking Horses. We are involved in show pleasure, performance, and trail riding at various levels. Our company motto is: "child tested and grammie approved". We are a full service breeding, boarding and training facility specializing in naturally gaited racking horses. We have over 20 acres in the north GA mountains for yours and your horse's pleasure. We love horses! Showtime Stables & Training Center is a full service boarding, breaking, and training facility located 25 minutes from Oak Ridge and 40 minutes from Knoxville. We specialize in flat shod Tennessee Walking, Racking, and Spotted Saddle Horses. Located 1 mile from Lone Mountain State Forrest and 5 miles from Frozen Head State Park. Naturally Gaited Tennessee Walking Horses and Racking Horses suitable for show and trail. Palominos, roans, cremellos, and sorrels. Video and pictures are available for all horses listed for sale on our site.